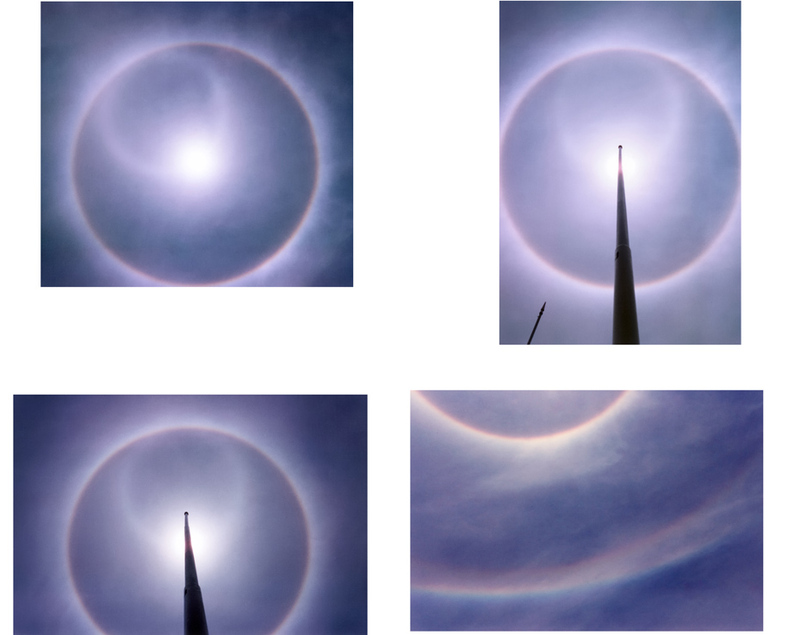 There are not much around photos of parhelic circle that fits inside the 22° halo. Here is one, seen over La Silla astronomical observatory in Chile on 27 January 1990. Sun is at 79 degrees elevation. Damien Hutsemekers, who took the photo, wrote also a report of the display ( 1 ). See some more photos ( 2 ). Thank you for this reminder of a classic (and rare!) observation. It would be interesting to have state of the art intensity vs. solar altitude simulations for the parhelic as well as for the CZA and CHA. Nice pics I like how you can see the infralateral arc and the circumhorizon arc separate from one another in the last pic. In his paper Hutsemekers identifies there 46 halo and circumhorizon arc. I am bound to agree with him. Probably 46 infra is also playing invisible role, conbined with cha. Somebody should make a simutation. Yeah you're right marko CHA and infralateral arc always touch one another the CHA does not touch 46 halo at that elevation so I guess that must be a very well developed 46 halo because the 22 halo is very bright. 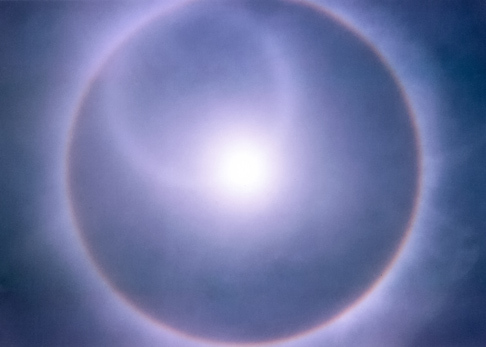 Here is even higher sun parhelic circle. Thanks for Patrik Trncak for finding this.